With beauty bloggers hopping on the Eurostar for a swift trip to Paris, to stock up on La Roche-Posay’s Serozinc Spray, it was without a doubt that the rest of us beauty addicts couldn’t wait to get our hands on it too. I had my reservations about this can of so-called "spot fighting mist", but as soon as the opportunity came about, I succumbed to the hype and bought a can. So what’s my verdict? The hypoallergenic, no-perfumed mist from La Roche-Posay, is targeted towards those of us with acne-pone, troublesome skin. The solution is made from three ingredients: La Roche-Posay’s ultra-soothing thermal spring water, healing zinc sulphate and astringent sodium chloride. Together these three ingredients promise to target blemishes, marks and excess oiliness. The product dispenses in a fine mist (just the right amount), it’s not greasy and it’s convenient as there is no messing about with cotton pads, as the product absorbs within a couple of minutes. The mist is refreshing like most toners and can be used any time of day, under or over makeup. I have combination skin and this product has certainly helped mattify my oily areas, prevent excess shine and reduce redness. However, in terms of appearance of my pores and spots, I haven’t seen a notable difference. And although this toner doesn’t leave my skin feeling tight, when used on a daily basis after cleansing, my skin really dries out. This came as a surprise, as before I purchased it, I had read how it was really hydrating and it’s really not! I have combination skin so I try to avoid anything that could leave other areas of my face dry, so I have since stopped using this product on a daily basis and I now only apply it onto targeted areas. In comparison to other toners, this toner is by far the best I have tried at reducing oiliness, whereas Lush’s Tea Tree Water is far better at dealing with breakouts. So is it worth the hype? Well no, not particularly. For me, it doesn’t tick all the boxes and I doubt I will be purchasing it again in the near future. But having said that, if you struggle with uber oily skin then this product could be possibly be a winner. 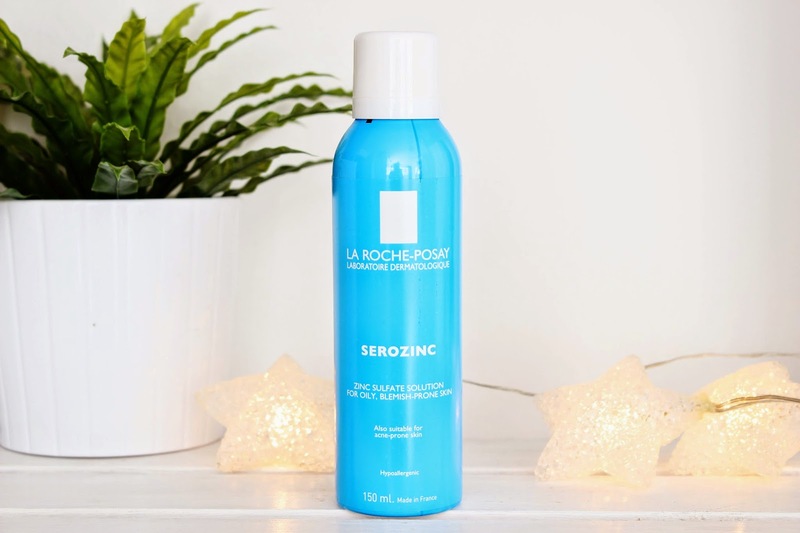 The La Roche-Posay Serozinc Spray hasn’t quite found its way into the aisles of Boots yet, but it is available online at Escentual for a reduced price of £7.20 (RRP £8.50).